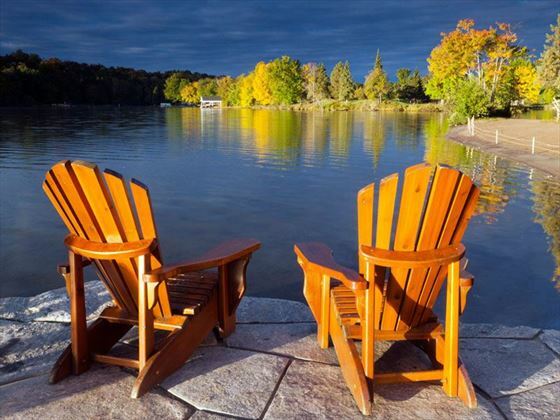 This charming lake resort offers a year-round retreat along Peninsula Lake in the heart of Cottage Country. 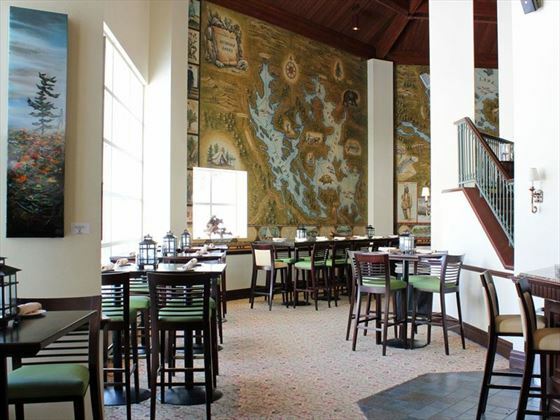 Named by National Geographic Traveler Magazine’s as “Best of the World”, the 780-acre property is a self-contained community with restaurants and a variety of accommodations with varying styles and features. Offering something for everyone in all seasons, Deerhurst Resort makes an ideal getaway whether you want to relax or play. Enjoy splashing in the lake, hiking and horseback riding in the summer months and ice skating, skiing, snowshoeing or snowmobiling in the winter. 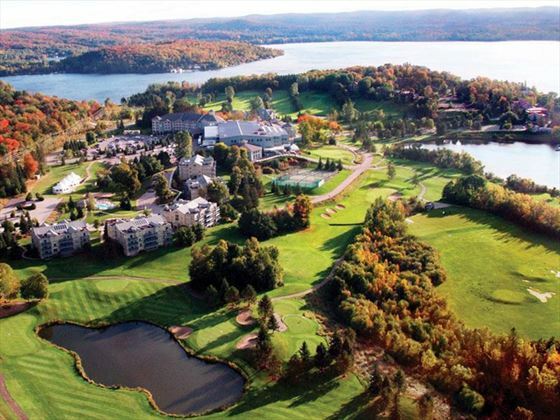 A golf lover’s dream, the property boasts two 18-hole golf courses, Deerhurst Highlands and Deerhurst Lakeside, renowned for both their beauty and play-ability. Indulge in spa services, including a couple’s massage room, steam room, swimming pool and whirlpool, and enjoy the opportunity to dine onsite at multiple eateries, including Eclipse, known for locally-inspired menus and bountiful buffets; The Antler Steakhouse; the Maple Pub and Patio; and, the Compass Grill & Bar which also hosts live music. Hotel-style Pavilion rooms – These rooms are located in the Pavilion, a 10-minute walk from the lake and include either a king-size bed or two queen-size beds along with a work desk, mini-desktop refrigerator, separate vanity area, and most include a balcony or terrace. Pavilion Junior Suites – Located in the Pavilion, these suites have a spacious, open concept and include a king-size bed, living room area, HDTV, and dining table. 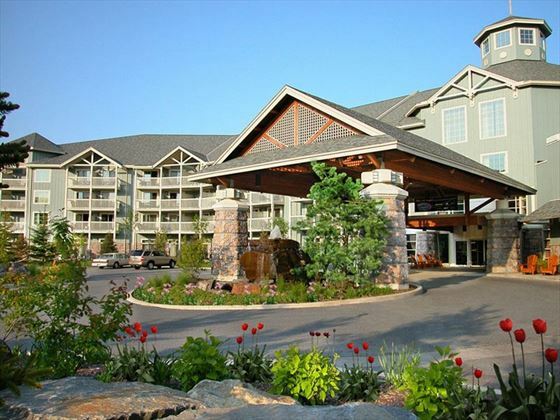 1-Bedroom Suites – These condo-style rooms allow guests to enjoy the comforts of home, located near the Pavilion, a 10-minute walk from the lake. 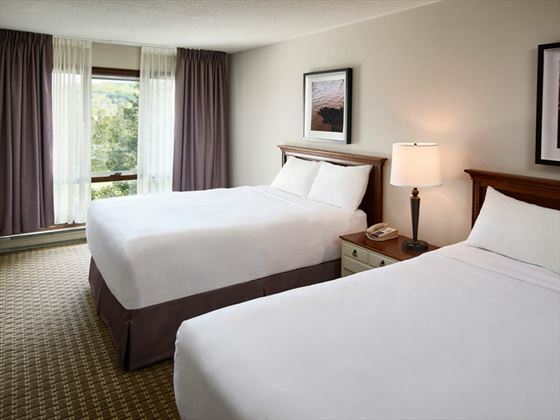 Each include a separate bedroom with a TV and one king or two double beds along with a kitchenette and cookware. They also feature a separate living room with a fireplace, stereo, TV and DVD player. 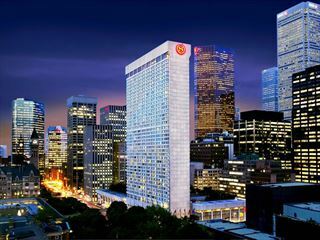 Resort Condos – Resort condos come in one-, two- and three-bedroom options with a variety of layouts. All include a fully-equipped kitchen, a dining room and living room with a stereo, TV, DVD player and fireplace. Most include balconies with various views. 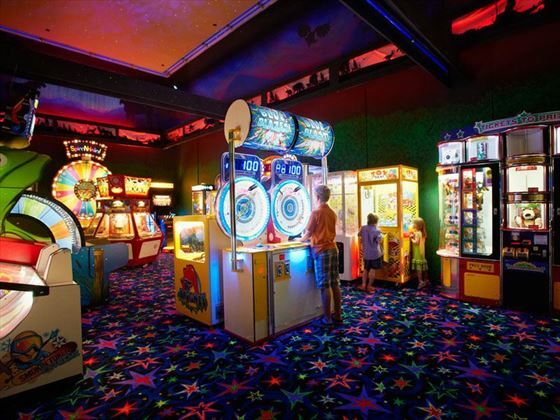 Large Condos – Large condos include all of the above amenities of the resort condos, with even more space along with full-size kitchen appliances. The Waterfront Tree Bedroom is just steps from the lake. 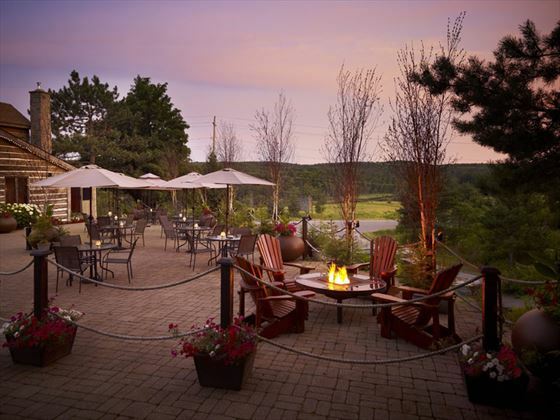 Deerhurst resort offers four dining options: Eclipse, The Antler Steakhouse, Maple Pub and Patio, and the Compass Grill & Bar. 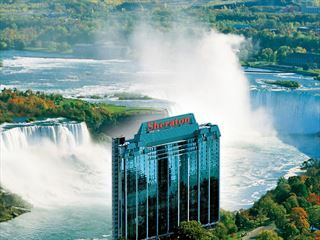 Indoor connections to all Falls Avenue hotels, attractions, restaurants, Casino Niagara and more make the Sheraton on the Falls an ideal hotel for visitors to Niagara Falls of all ages.